Punjab School Education Board 12th Class Results 2014 is released on pseb.ac.in . 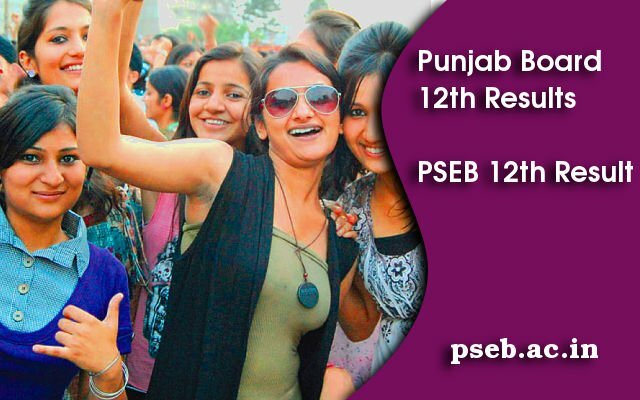 Candidates who appeared for 12th Class exam in Punjab can check their PSEB Results 2014. The 12th Class Results for Science, Arts and Commerce stream are declared on 11th May 2014. PSEB Results are available on pseb.ac.in website. The Punjab School Education Board conducted 12th class examinations 2014 for theory subjects from 1st March 2014 to 23rd March 2014. The practical examinations were held from 15th February 2014 to 22nd February 2014. Nearly 2.9 lakh students appeared for the PSEB Class 12 exams 2014 with 2.52 lakh students are passed. The Pass percentage in 2014 is 84.42%. In 2013 the pass percentage was 78.97, in 2012 it was 72.31 and in 2011 it was 70.28. There is a notable increase in the pass percentage from past three years. PSEB Class 12 exams are normaly conducted on March every year. Punjab School Education Board (PSEB) with head quarters in Mohali, Chandigarh was founded in 1969 and is currently headed by Chairman Dr Tejinder Kaur Dhaliwal. PSEB is in charge of administering curriculum, publishing textbooks, conducting examinations and awarding scholarships. Punjab School Education Board is headed by a full-time Chairman whose term lasts three years and who technically reports to the Secretary of School Education in the Government of Punjab.The current Chairman is Dr D.S Dhillon.